Perhaps a rarity for any environment secretary, this was the second time plastics had been addressed in a matter of months. At the end of March, the government also announced plans for a deposit return scheme (DRS) to help reduce the estimated three billion plastic bottles that are not captured for recycling and end up in the environment. The concept, as many will know from Scotland’s consultation on a DRS, announced back in October last year, is that consumers will pay an up-front deposit when buying a drink. This could range from 8p to 22p, depending on the size of the container. This money can then be redeemed, either through a reverse vending machine or through a shop directly. The idea is that if you attach a value to an object, and make people pay for it in the first instance, they will be fully motivated to get that money back and, in the process, return the bottle for recycling. A consultation is set for later this year to look at the logistics of such a scheme, as well as how it could improve recycling rates. As part of the consultation, the UK will no doubt look elsewhere to see what impact a DRS will have. After all, in the 38 countries around the world using a DRS, up to 95% of cans and bottles are returned, according to the Campaign for the Protection of Rural England (CPRE). One of the frequently quoted success stories for DRS is Norway. Since the country introduced a deposit scheme back in 1999, it is now recovering 98% of PET plastic bottles. 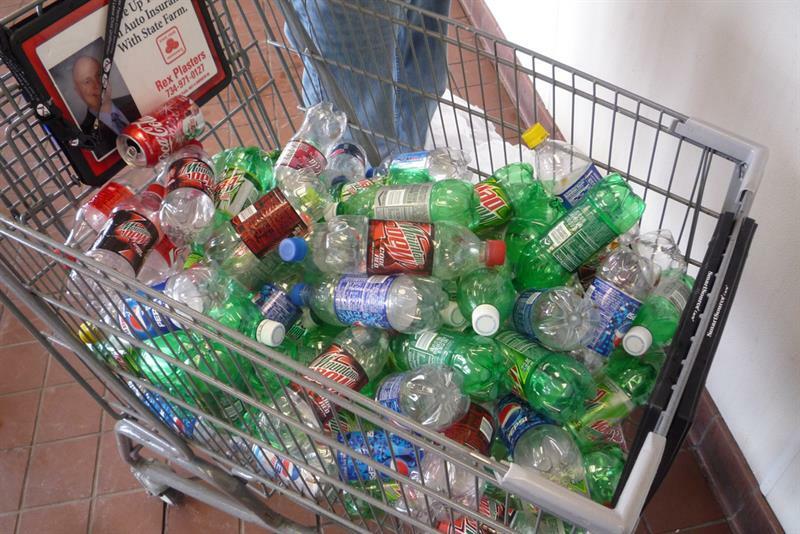 Around 88% of the bottles are collected through a reverse vending machine network, while 10% is collected through the household collection system. Of these, 9% are sent for energy recovery, meaning that 89% of all PET bottles sold in Norway are recycled. If Norway is often quoted as the success story for DRS then Maldum is the poster child within this tale: frequently quoted by sources including the BBC on the achievement. Yet there must have been some challenges along the way? With the price of collection logistics going up with inflation, this has not helped, he adds, but the authorities decided last summer to increase the deposit amount – currently one Norwegian kroner (about 10p), and 2.5 kroner (25p) for larger bottles. The increase will “help increase the collection rate further”, he adds. Previously, such smaller shops used to have to collect the empty bottles and fill up five bags before they could be collected, or else it would have been too expensive for collection. As reported by RWW previously on the Scotland example, several concerns of fraud were raised, with worries of people scavenging for bottles in bins, or even lorries being targeting with essentially £32,000 worth of deposits in the shape of empty bottles. Maldum downplays these fears. There was an instance of shops putting bags of bottles outside and having them stolen, but since then they all keep them inside. If Norway’s figures are not impressive enough, the managing director wants to keep going. “Our focus is to get to 100% collection,” he says positively. Infinitum’s plan is to convert the remaining 10% of PET bottles collected through household recycling through the deposit scheme. This also ties in with the central sorting plant outside of Oslo, which takes waste from nine municipalities. For that company to collect the bottles is less cost-effective than for those empties to go through the deposit system route. Nor is it just Norway that has seen success with a DRS. Lithuania has even boasted an improved recycling rate for bottles from 32% to 75% in the first seven months of a DRS operation. The government’s Voluntary & Economics Incentives Working Group report also points to Finland and Germany, which stated recycling rates for PET packaging ranging from 92-98%; and the rate is 96-97% for cans. However, although the report said “experience from other countries/states with a DRS shows that they often improve the quality of material collected”, it pointed to the study Sustainability on the introduction of a mandatory DRS for packaging in Spain. One conclusion was that the “introduction of a DRS would cause environmental harm in comparison to the current system when environmental indices and system processes were assessed”. The study concluded that the increased recycling rate of the DRS ‘in-scope’ material would rely on processes that entailed more pollution, primarily associated with the need for more equipment (machinery, bags and boxes) and the less efficient transport of the in-scope material that would be collected manually and un-compacted. Meanwhile, New South Wales (NSW) in Australia is an interesting example to reference as it also established an existing advanced kerbside recycling service like England’s. In December 2017 a DRS was introduced. Called Return and Earn, it covers most 150ml to three-litre PET, HDPE, glass (but not wines and spirits), aluminium, steel and liquid paperboard drinks containers. The scheme is part of a wider goal of reducing litter volume in the state by 40% by 2020. By mid-March, NSW’s government reported that more than 150 million drink containers had been refunded. “[This] is a great result and we expect this momentum to continue as more collection points are rolled out and people get into the habit of exchanging their containers,” said Anissa Levy, NSW Environment Protection Authority CEO. Continuing its development, the scheme’s network operator, Tomra, together with waste management company Cleanaway, have launched an app to let users check the “operational status of their nearest vending machine”. The app will show whether the machines are open, almost full, temporarily unavailable, or in sleep mode during out-of-hours periods. Clearly, deposit recycling schemes have been proven to galvanise recycling levels. In Norway, for PET bottles, it is even taking household collections out of the equation. By attaching a value to an object, inevitably people take it more seriously. After all, economics truly drive change. Take plastic bags – before the levy they were grabbed freely by the dozen at supermarkets; now people either remember to bring their own or begrudge paying the 10p charge. With over 150 million tonnes of plastic estimated to be discarded into the world’s oceans every year, the DRS and the impact it brings could not come soon enough for the UK.